‘Tis the season to party, which means you’ll be welcoming plenty of invited (and uninvited) guests into your home. There’s no better excuse to deep clean your house from top to bottom – because first impressions count! Get everything ship-shape and sparkling clean in time for the festivities so you can relax – or dance – the holiday away. 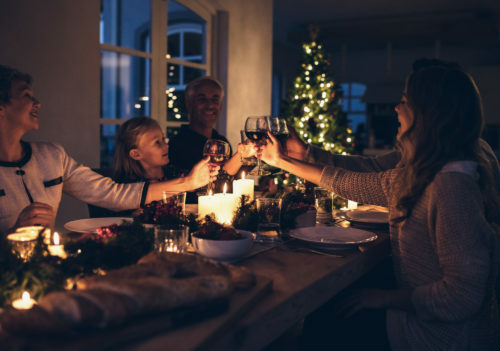 Not only can cleaning up be a nightmare before Christmas, but festive and New Year celebrations can take their toll on homes. In this blog post, we share our top cleaning tips for entering the New Year with a spotless home. You may decide to tackle your chores over a number of days or to do them all in one go. Whatever you decide – don’t leave them until the last minute! A complete clean can take several days, and we all know it’s a busy time of year. So, what’s the Rug Doctor’s order? Keep on reading to find out! Before anything else, you’ll need to clear away the clutter. It’s much easier to clean when there are fewer obstructions, so it’s a good idea to pull out the rubber gloves before the tree and tinsel. Not only does tidying up make cleaning a simpler task, but it also frees up space for gifts and visitors. The more room, the merrier! If you can’t find a place to store an item, consider whether you actually need it or if you could donate it. It’s the season of giving, after all. To get your home clean from top to bottom, it’s best to start from the top. Clear away any cobwebs from your ceiling and work your way down to the walls and shelves. Sweep up any dust and wipe down all surfaces, making sure to clean every nook and cranny. Your next priority should be to revive any furniture, including sofas, chairs and tables. Friends and family will spend most of their visit on your sofas, so it’s important that they look their best. The easiest and most effective way to clean a sofa is to use a cleaning machine like a Rug Doctor Portable Spot Cleaner. Alternatively, you can use the rental machine and simply attach the Hand Tool. We often forget to routinely clean certain things in our home, from curtains to cushion covers. Washing them can make a big difference to a room, just like a breath of fresh air in your home. Also, don’t forget to get your dinner table covers ready in time for Christmas dinner. Any excess dust from cleaning surfaces and furniture will fall to the floor. There’s no better way than to wave goodbye to the year than to scrub away any built-up grime and stains. To get the most thorough results, we recommend moving all furniture out of the room. If your floors are carpeted, it’s the most wonderful time of year to give them a deep clean. This extracts dirt that’s buried deep within carpet fibres, while vacuuming only removes the surface layer of dust. 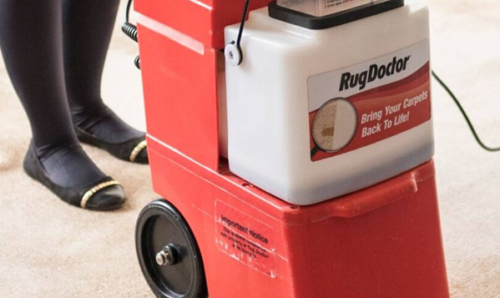 A Rug Doctor machine gives brilliant results without the cost of a professional or the effort of manual washing. Why spend hundreds when you can rent one for around £22.99? Why not give your carpets the gift of life? Perhaps the most important room to clean is your guest room, which will need to be immaculate. Make sure you tackle every place in the room, including under the bed and above the door frames. If the room is infrequently used, make sure you freshly wash the bedding to eliminate any dust or pet hairs. Also, banish unpleasant pet odours from your carpets with our Urine Eliminator spray. After a thorough deep clean, you’ll only need to do some quick touch-ups before the celebrations commence. Wipe over surfaces and scrub away any stains, as well as vacuuming your carpets and removing any Christmas tree needles. Also, keep some Rug Doctor Spot & Stain Remover wipes at hand in the event of a cleaning emergency. Before your guests arrive, ensure the bathroom has clean towels and bleach the toilet. It’s also worth emptying all the bins in advance so you can enjoy a chore-free Christmas. 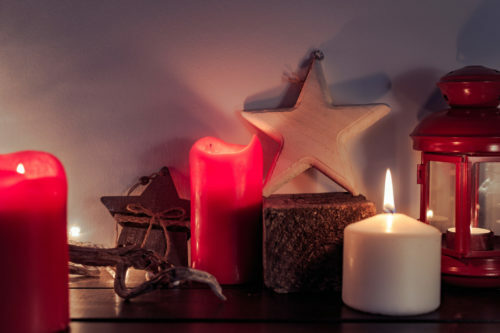 As well as all the essentials, get into the festive spirit by decking the halls with scented candles. Finally, make sure your glasses are all sparkling clean by using vinegar to banish any cloudiness. As long as you’ve got the mulled wine, it should be time to get the party started! After all that preparation, your house might look a little worse for wear by New Year’s Day. Luckily, you’ll have done the bulk of the clean up a few weeks before. So, whether it’s lipstick marks from mistletoe kisses or candle wax drippings, there’s still hope for a fresh start! Once the fireworks are over, you’ll have to clear away any rubbish and put kitchenware in the dishwasher. Then throw washable fabric items in the washing machine, including bedding, tablecloths and cushion covers. Another quick clean should be in order, especially in the guest room and bathroom. You may notice some tell-tale stains, including wine spills and oily food stains. If you deep cleaned your furniture and carpets beforehand, these are easy to tackle with the right cleaning solutions. Whether you face coffee stains or marks in high traffic areas, Rug Doctor has a trigger spray to attack stains and odours. 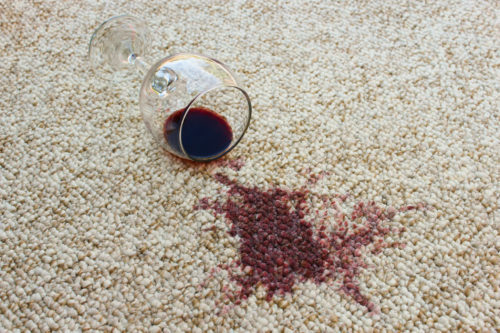 Spot and Stain Remover eliminates a whole host of everyday stains from carpets, upholstery and fabrics. For stronger stains, Oxy Power Stain Remover has the power of bleach and can even make red wine stains invisible! 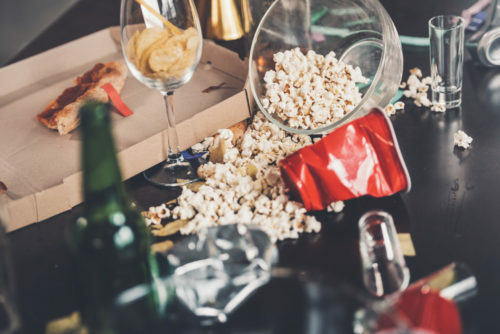 A thorough clean up before the party season makes it easier to clear away the aftermath of your celebrations. With the right cleaning products on hand, you’ll be able to tackle even the toughest stains to give your furniture and carpets a new start. So why not have yourself a sparkling Christmas and New Year? This entry was posted in House Prep. Bookmark the permalink.